A graceful gown shower invitation with a wild strawberry background. The following fonts have been used in this bridal shower invitation. Avenir Roman for honoree name, time & date location, RSVP and registry information. Designed by Canadian type designer Ronna Penner, Amelie is a handwriting script font with connected letters and a trendy flair. When using the font, you can add little flourishes to the beginning or end letters for a whimsical touch. 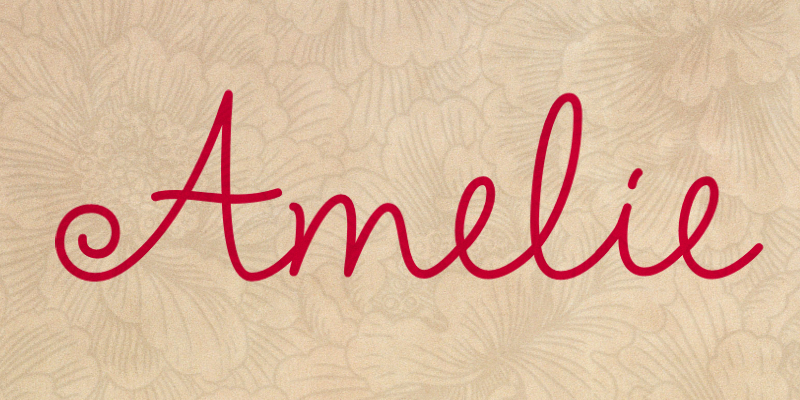 You can buy and download Amelie at Myfonts.